Using the common pain-relieving medication acetaminophen – or paracetamol – during pregnancy is associated with increased risk for multiple behavioural problems in children, new research has found. Acetaminophen is generally considered safe in pregnancy, and is used by many pregnant women for pain and fever. Researchers at the University of Bristol examined links between behavioural problems in children and their mothers' prenatal and postnatal acetaminophen use, as well as acetaminophen use by their partners. The study, carried out by Dr Evie Stergiakouli, of Bristol's MRC Integrative Epidemiology Unit, suggests prenatal use of acetaminophen by mothers at 18 and 32 weeks of pregnancy is associated with an increased risk of conduct problems and hyperactivity symptoms in children. Additionally, maternal acetaminophen use at 32 weeks pregnancy was associated with higher risk for emotional symptoms and total difficulties in children. Dr Stergiakouli said: "Children exposed to acetaminophen prenatally are at increased risk of multiple behavioural difficulties, and the associations do not appear to be explained by unmeasured behavioural or social factors linked to acetaminophen use, insofar as they are not observed for postnatal or partner's acetaminophen use. "Our findings suggest that the association between acetaminophen use during pregnancy and offspring behavioural problems in childhood may be due to an intrauterine mechanism. "Although these results could have implications for public health advice, further studies are required to replicate the findings and to understand the mechanisms. Large prospective studies and study designs, which take into account unmeasured and familial confounding, are needed to inform public health advice on acetaminophen use in pregnancy." Dr Stergiakouli added: "Paracetamol is still considered safe to use during pregnancy so healthcare professionals should not advise pregnant women to limit paracetamol use. There is a risk of not treating fever or pain during pregnancy, and this should be carefully weighed against any potential harm to the offspring. For example, untreated fever during pregnancy can lead to premature labour." Dr Stergiakouli and her collaborators analysed data for 7,796 mothers enrolled in the Avon Longitudinal Study of Parents and Children (ALSPAC) between 1991 and 1992, along with their children and partners. They used questionnaires to assess acetaminophen use at 18 and 32 weeks during pregnancy and when children were five years old. Behavioural problems in children reported by mothers were assessed by questionnaire when the children were seven years old. 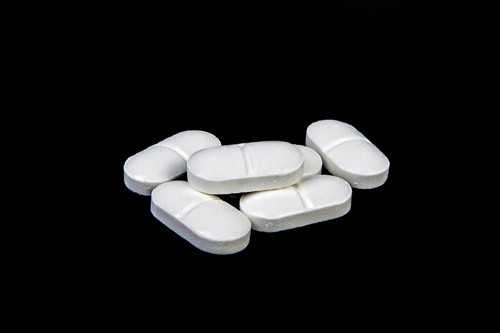 At 18 weeks of pregnancy, 4,415 mothers (53 per cent) reported using acetaminophen, while 3,381 mothers (42 per cent) reported using acetaminophen at 32 weeks. There were 6,916 mothers (89 per cent) and 3,454 partners (84 percent) who used acetaminophen postnatally. The study reports five per cent of children had behavioural problems. The study found postnatal maternal acetaminophen use, and acetaminophen use by partners, was not associated with behavioural problems. Because the associations were not observed in these instances, the researchers suggest this may indicate that behavioural difficulties in children might not be explained by unmeasured behavioural or social factors linked to acetaminophen use. The researchers noted the study had some limitations, including a lack of information on dosage or duration of acetaminophen use. 'Association of Acetaminophen Use during Pregnancy with Behavioural Problems in Childhood' by E Stergiakouli, A Thapar, and G Davey Smith in JAMA Pediatrics. doi:10.1001/jamapediatrics.2016.1775.